TX Daily Edition - stylish functional template news portal developed by design studio ThemeXpert. The original design layout includes four preset color schemes, 13 background images, and support an unlimited number of fonts including Google fonts. 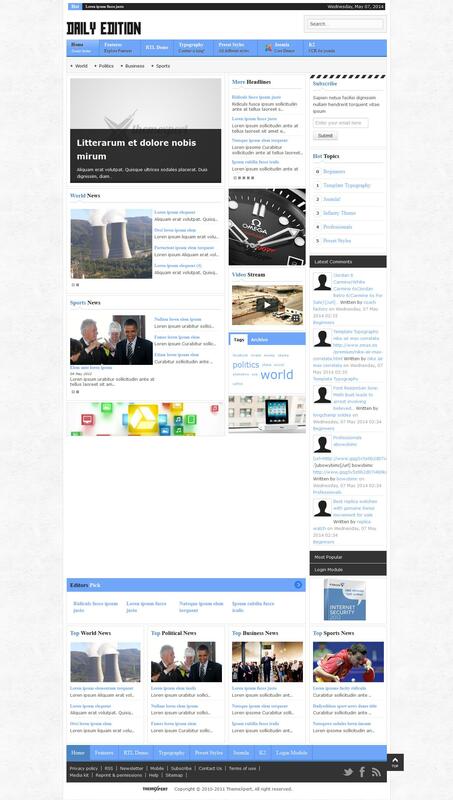 Universal design is perfect for creating online news portals and magazines with lots of information. Due to the properties of the framework Expose Framework This template is correctly displayed on any mobile devices and screens, and is compatible with all browsers.